Wednesday 4th May - Jablo! Emma and I had a CIM lab today where we setup a CNC machine to cut a piece of jablo (the Maltese word for polystyrene). 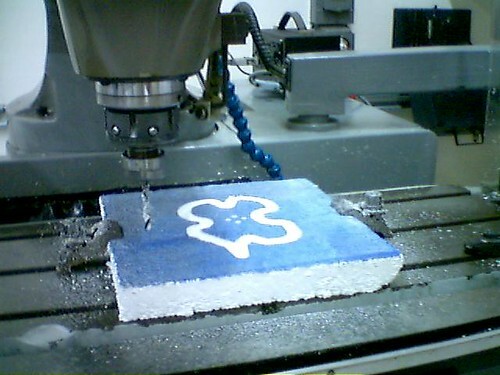 Cutting Jablo on a CNC machine.